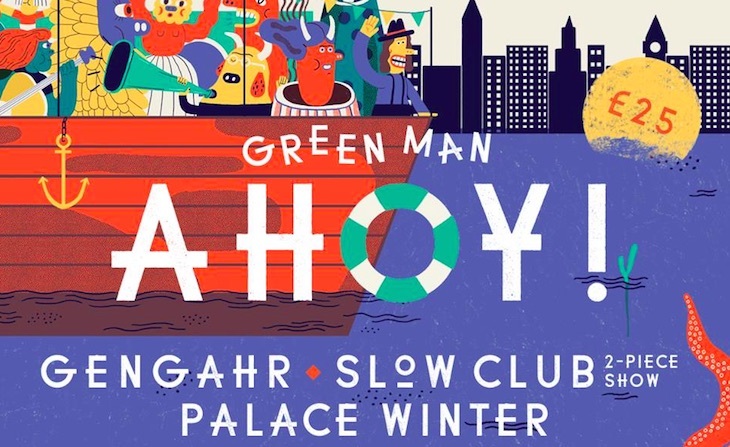 Here's a boat that really rocks: the folk behind Green Man Festival are bringing tunes to the Thames this summer with floating festival Green Man Ahoy. The boat bash — happening on 7 May — welcomes aboard home-grown psych pop heroes Gengahr, plus indie Sheffield duo Slow Club and Palace Winter, who cite among their rather disparate influences, Elliott Smith and Seinfeld. There'll also be DJs and a 'treasure trove of surprises', whatever that might entail.